Marketing automation gives companies the opportunities to adopt the philosophy of giving the right message, at the right time, to the right leads thus drastically increasing conversion rates, by sending relevant content, offers, and more to their contacts. More and more companies feel the urge to automate their marketing strategies as much as possible in order to keep their momentum high. In the digital modern era there are hundreds of different techniques, options and tools at disposal. So where to start and what to use? We’ve tried to analyze top 5 marketing automation tools mostly used by up-and-coming SaaS and subscription based companies each having their different target and unique marketing strategies. These tools are also powerful in their ability to segment contacts dynamically, allowing companies to drill down their marketing efforts to the right segments at all times. Buffer is very simple but most effective social media and content marketing automation tool. Since subscription businesses end users enjoy purchasing within their particular lifestyle, it important for business owners to capture the essence of that lifestyle. Main features include the ability to space out of Twitter, Facebook and Linkedin updates throughout the day. This gives customers the impression like the company is constantly educating, informing and being engaged with the target audience. Buffer allows you to schedule your content and updates well in advance. You can have your content posted throughout the day, scheduling the times you see fit. And in the event that you don’t want to be all over your followers’ timelines simply schedule the optimal number of posts. Buffer has a cool analytics dashboard so you can monitor the effectiveness of your social posts. They also send you emails with Report Cards to let you know what kinds of posts are getting hits, helping you understand performances across all of your channels. Confetti – mapped clicks with specific factors like referral sources, search terms, etc. The unique perk of using Crazy Egg is that you can track the users’ activities on links but also on non-links. This makes this tool an ideal platform for A/B split testing for your new campaign or landing page design. 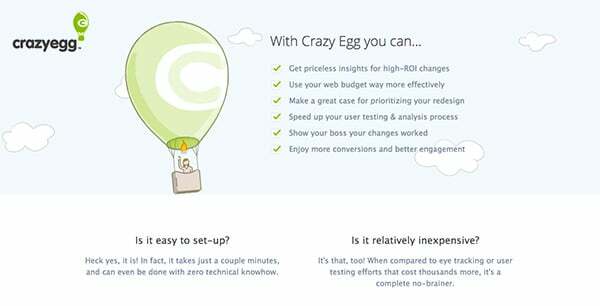 CrazyEgg is great, affordable tool for people who are serious about their website. It gives you a new level of information about your site, and more importantly, your visitors. In simple words it’s like getting an x-ray of what’s happening on your website. “Actions speak louder than page views”, says Mixpanel. In this time-delicate Internet period ongoing information analysis has never been more critical. Mixpanel was outlined and created to empower companies and businesses to screen and adequately examine their client behaviour. Mixpanel is a advanced analytics solution for both mobile and web. While most platforms like this check page views, Mixpanel adopts an alternate strategy by estimating and breaking down the moves or steps made by individuals who enter your system or application. In this time-sensitive Internet era real-time data analytics has never been more important. 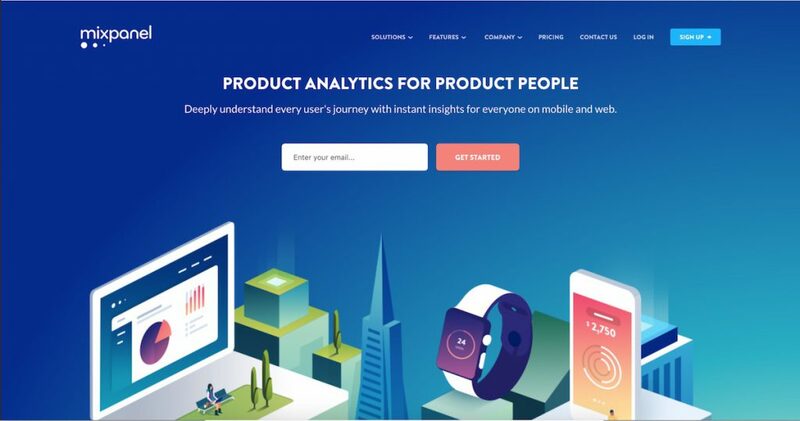 Mixpanel was designed and developed to enable companies and organizations, regardless of size, to monitor and effectively analyze user behavior. Mixpanel is an advanced analytics solution that can be used for both mobile and web. Another important feature that distinguishes Mixpanel from the rest of the tools is that it can automatically send in-app notifications or email messages to customers. All you have to do is just tell the tool what to send to whom, and when to send it. With their automated messaging capabilities, Mixpanel appears to have become both analytics and tracking clubbed with marketing automation. 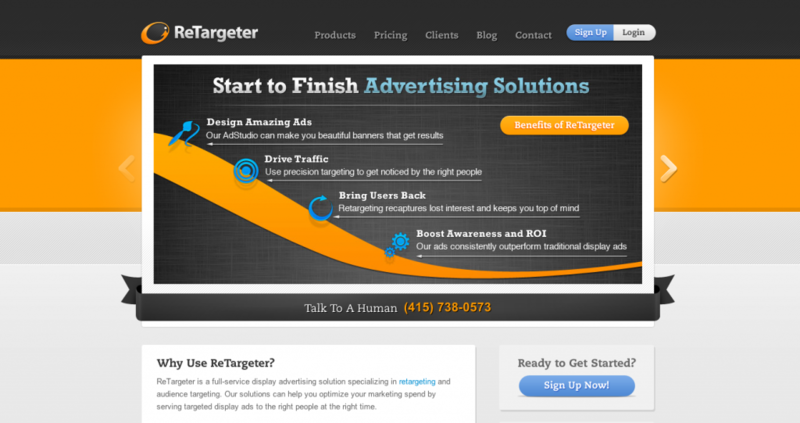 With ReTargeter as a platform you can get the most out of your marketing strategies by serving targeted ads to the right people at the most appropriate time. It means your brand, products, and services are always in front of your high value targets, ensuring that they stay on top of your target audience’s minds. The app encourages return visits and improves conversion.Re-targeting is perfect for a subscription businesses because again you are targeting a customer who is part of a specific lifestyle. That said you are almost always guaranteed to get a higher ROI than other marketing channels. However you should remember that retargeting doesn’t drive traffic to your site like other channels do. It is best used combined with other acquisition channels like Google Ads. As far as total turnkey advertising automation solutions go, HubSpot could well be the grand-daddy of them all. It has an exhaustive suite of various instruments that assistance you increment conversions and sales giving you magnificent return of investment. It requires some time to integrate internal analytics, website and tools to synchronize with Hubspot, yet once you do the outcomes are amazing. 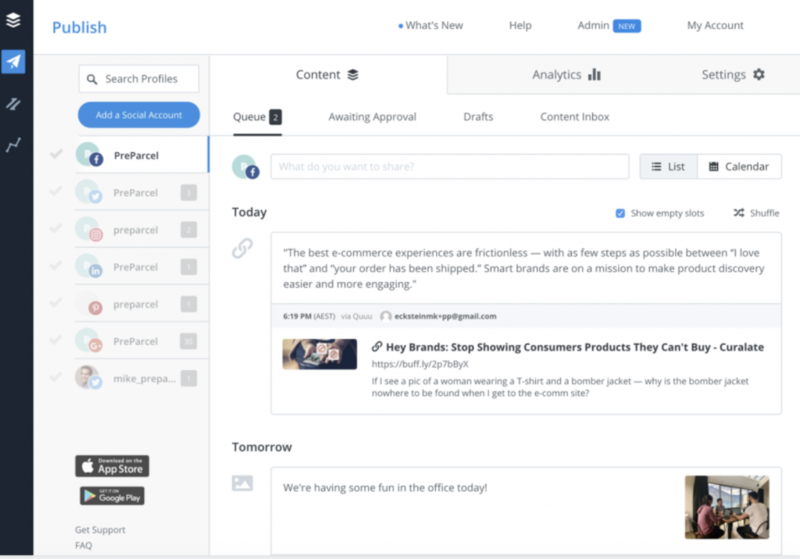 They have tools like their own particular CMS so you can deal with your blog and a social inbox in order to monitor your social media accounts. Their analytics dashboard enables you to take profound jumps at each channel you are utilizing and see how they are performing. With integrations to leading CRM like Salesforce, they truly have everything you’ll possibly need. 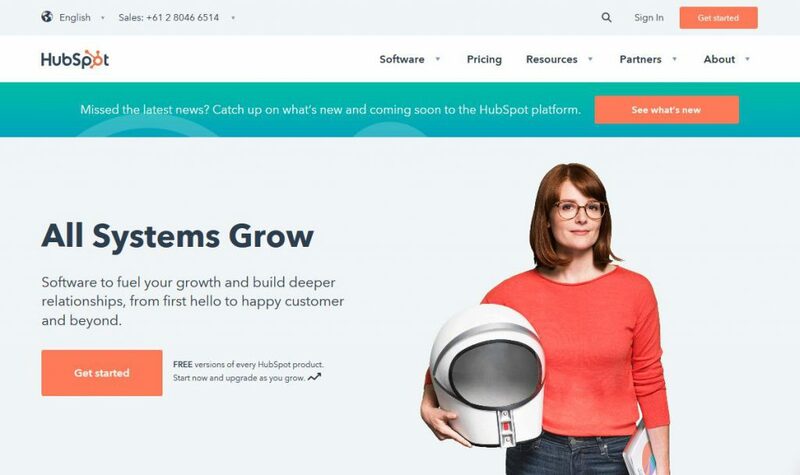 Many subscription businesses have limited time, budget and resources, so using a tool like Hubspot is like hitting the jackpot. It’s instant marketing automation without the hassle and the perfect starting point for the successful growth of a business.